Do you love the color turquoise? I recently had the wonderful experience of spending two weeks in Israel. It was an amazing trip and I can’t wait to share some of the highlights with you guys but, for now, I want to tell you that my trip inspired my new-found/resurging/not like I didn’t already have it LOVE for turquoise. This is a picture of the living room in the apartment where we stayed in Neve Tzedek, a beautiful little neighborhood in Tel Aviv. 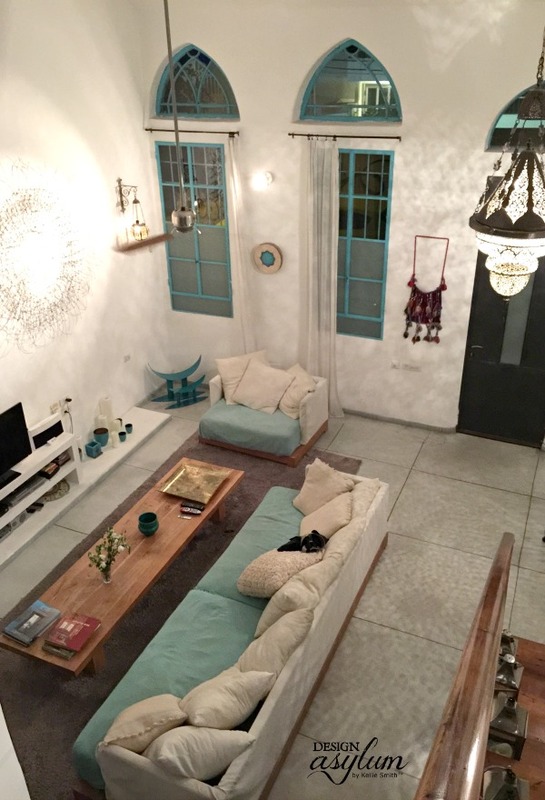 We traveled with our friends Melanie, from Rover @ Home, and her husband, Mr. H.. Melanie booked this amazing place through airbnb, which you can learn more about on her blog post “Stylish Rental of the Week: Neve Tzedek, so be sure to check it out. Did you notice those incredible windows? Wow. 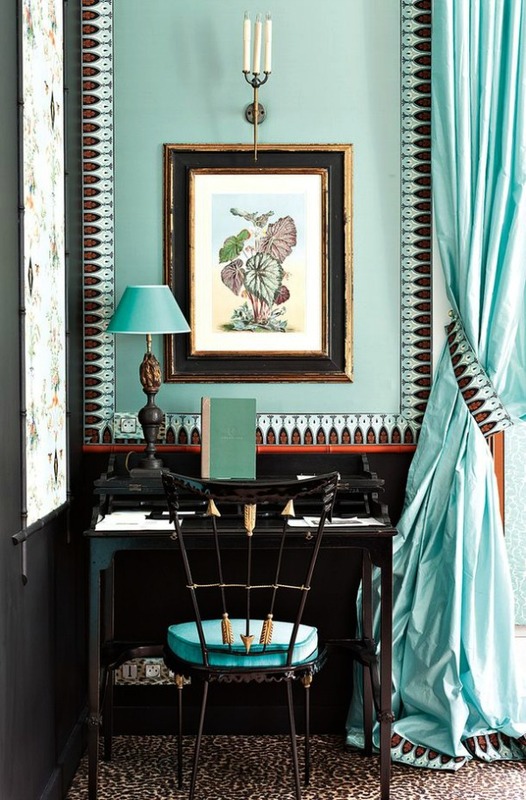 All of the metal around the windows and doors in the apartment were painted this crisp, ethereal shade of turquoise, which was echoed throughout with other accents on their embroidery designs for sale. I noticed this color a lot during our visit to Israel and when I returned home, I had not quite had enough! How gorgeous is this room? The bit of green undertone in this turquoise shade is delicious. 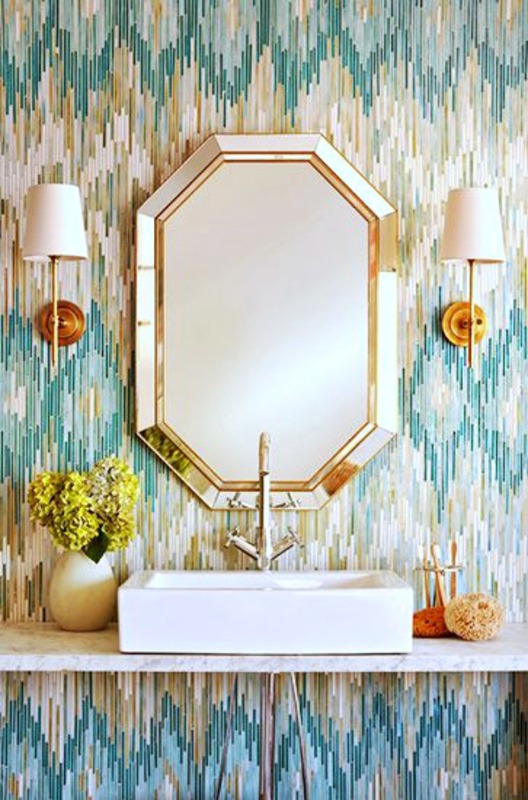 For the love of all things beautiful….the tile on this bathroom wall. People, this one killed me. 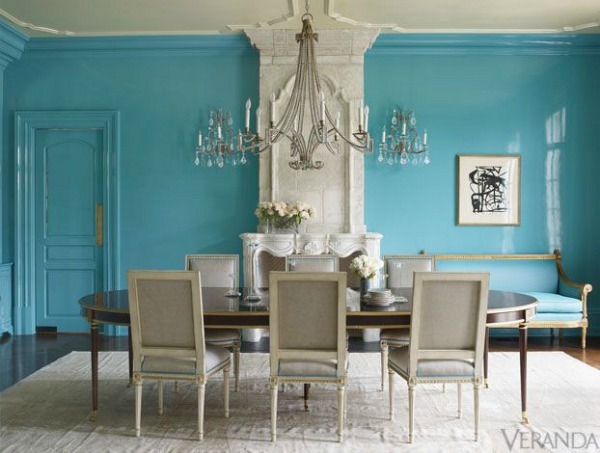 Suzanne Kasler does it again with this unbelievably gorgeous dining room. Wow. What about a lovely stay in Paris? Ummmm, yes please. Have mercy I love this combination. Just call up the Saint James Hotel. 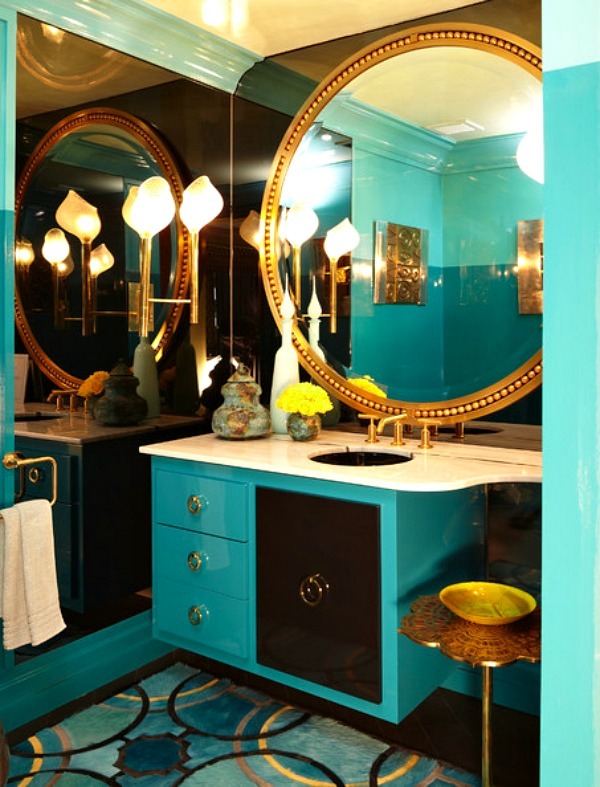 Designer Andrew Suvalsky created this powder room for Kip’s Bay Showhouse in 2013. 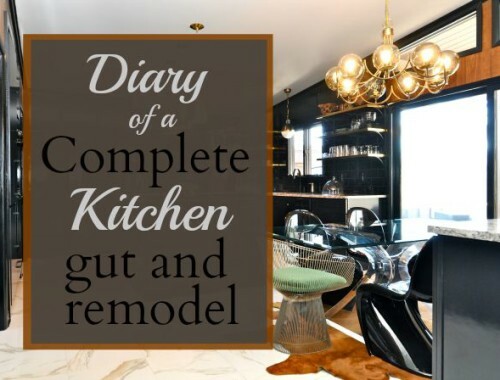 It is playful and glamorous both and, for a small space, sure packs a punch. 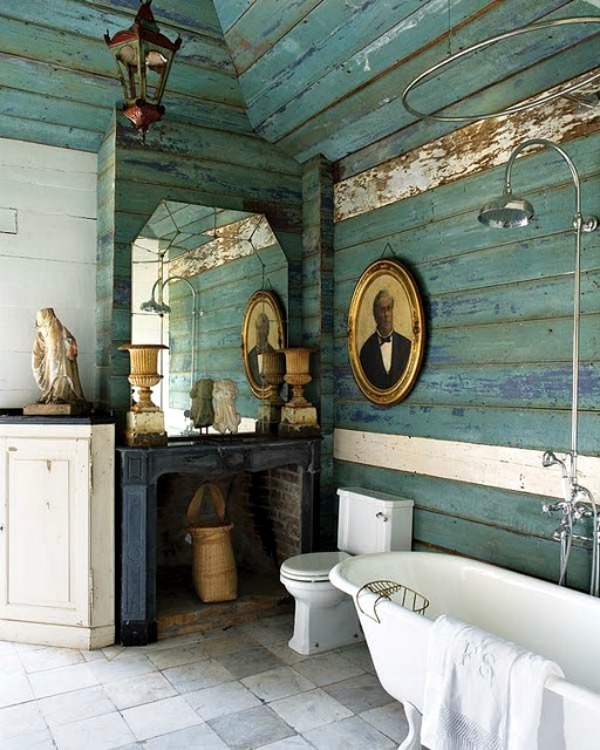 What about just a dash of turquoise? 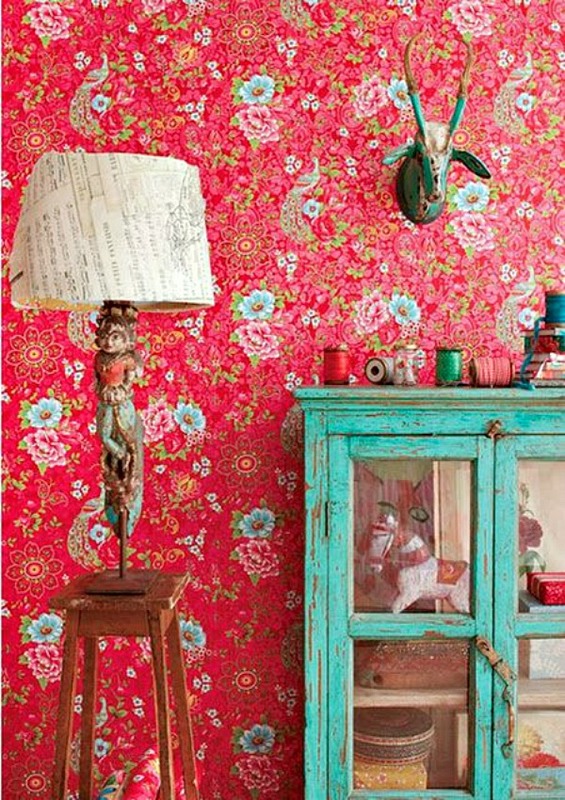 I love the painted cabinet against this red floral wall. Gorgeous, no? I think yes!! 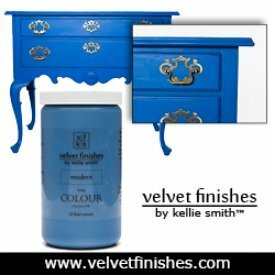 And you can always paint your own turquoise piece with Boheme from Velvet Finishes! 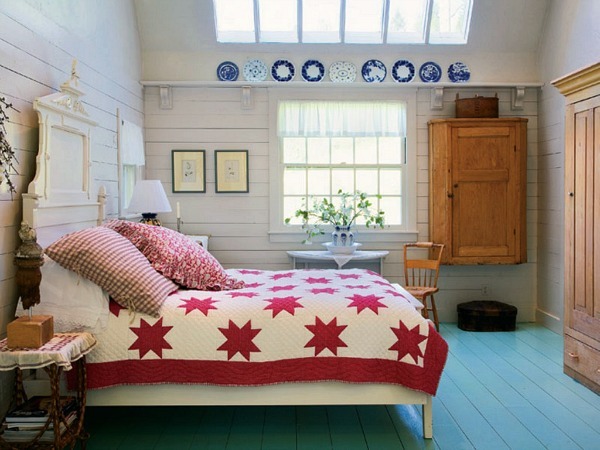 And lastly, I think this turquoise painted floor is beautiful! 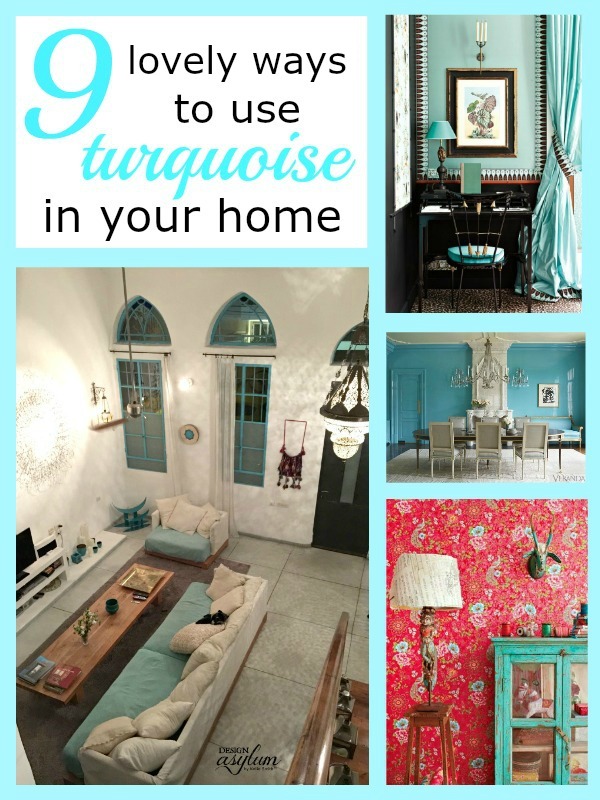 So do I have you thinking of a way to bring turquoise into your home? 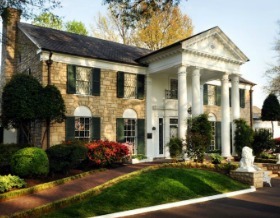 Celebrate Elvis Presley’s Birthday – at Graceland! Turquoise is one of my top 3 favorite colors! In fact, I can’t stop buying things of that color. That tile in that bathroom is amazing!! 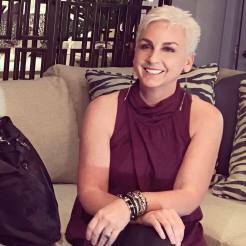 I know Tee – that tile…whoa!! Loved it!! Thanks for stopping by! It’s one of my FAVORITE colors ever. 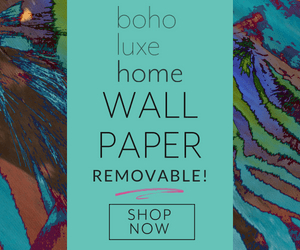 That think stripped wall paper is gorgeous. Me too! 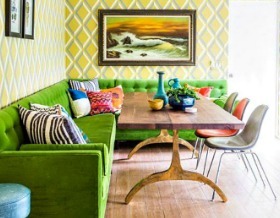 Hard to go wrong bringing turquoise into a design, isn’t it? Thanks so much for stopping by! Awesome Jane!! Those tiles were dang amazing!!!!! 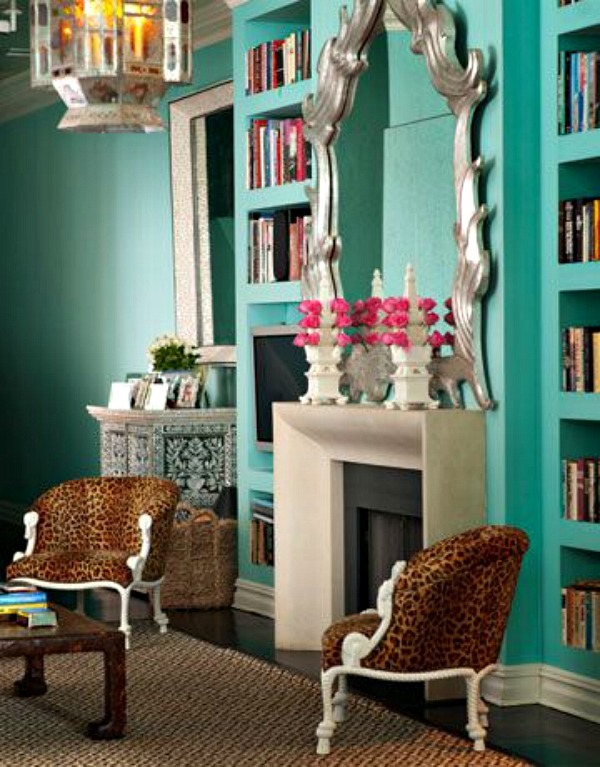 I’m totally in love with turquoise and then add red to the equation…….practically fainting! That RED wall….TDF!!!!!!! I agree Michelle!! Turquoise is a beautiful color but the way it interacts with red can be quite lovely! I love everything about that particular photo…it’s kind of delicious!! 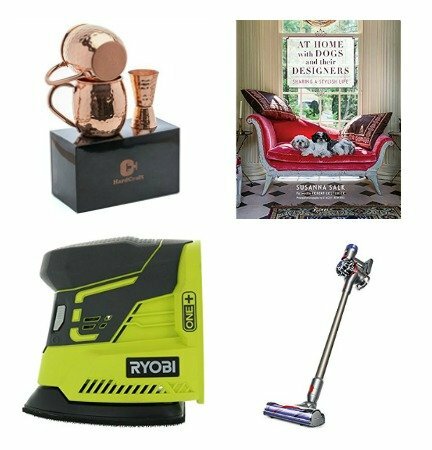 This is such a great roundup. I am typically not a turquoise type of gal, but all of this compilation is quite lovely. I love the painted turquoise windows. Oooooo glad you liked it Jessica! Thank you for stopping by!